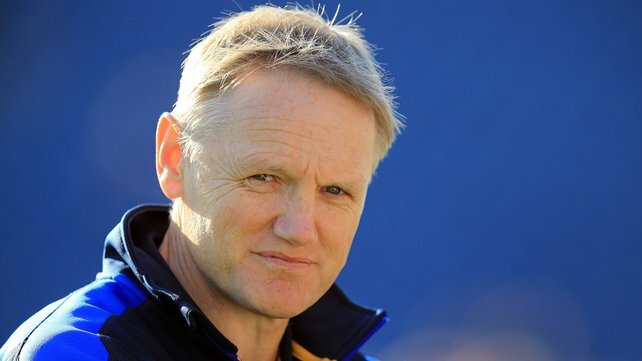 JOE SCHMIDT, the New Zealand born coach of Irish giants Leinster can be seen as one of many potentialcandidates for the Ireland Head Coach position. The gap left following the IRFU’s decision not to renew the contract of current Head Coach Declan Kidney. Unsurprisingly Kidney’s contract is not getting renewed after what can only be described as a poor Six Nations tournament. I personally find that ever since the huge 60-0 defeat to New Zealand in June 2012 was the beginning of the downfall for Declan Kidney. I’m an admirer of Kidney whose work at Munster which led to two Heineken Cup trophies and work with Ireland in 2009 saw them end the year unbeaten showed his strengths as a coach in which he thoroughly deserved to win IRB International Coach of the Year . However, he failed to capitalise on the success of the Ireland team in 2009 and his efforts have been unimpressive since, failing to finish higher than 2nd place in the Six Nations in years 2010, 2011, 2012 and 2013. Poor performances in the 2013 Six Nations saw Ireland drop to 9th in the IRB World Rankings. Now that the time of Kidney has ended, the IRFU need to start the process of electing a new Head Coach who can lead them out of the current rout. Joe Schmidt’s credentials alone show his worth. Two consecutive Heineken Cup triumphs with Leinster in 2011 and 2012 alongside a Top 14 Championship with Clermont Auvergne in 2010 show that he can work with top sides to create a winning formula. Schmidt’s ability to restore Leinster into a very confident attacking side and perhaps one of the best squads in European rugby strengthens the idea that he is ideal for the Ireland position. Recently Ireland lacked the cutting edge in attack with many unforced errors in attack through all of the 2013 Six Nations campaign. A steady defence kept Ireland from finishing bottom of the pile and to improve there attack needs to be restored to the high standard it has been in recent years. This is where the ability of Schmidt comes into play, a confident coach with victory in his sights is what Irish rugby needs to be successful. The 2015 Rugby World Cup should be set as a target for the new coach, with no less than the Semi-Finals being reached be seen as an achievement for the new coach. The desire of Schmidt also plays into this, after a slow start to the Pro12 season, Leinster have fired themselves to the top of the table within reach of the championship play-offs. A disappointing result in the Heineken Cup can be down to injury to key players, however, success in the Amlin Challenge Cup (fourth European title in five seasons) being top of the agenda for Schmidt and Leinster.